Linda Lue Studer, 71, of Olathe, passed away on April 12, 2016. She was born on May 3, 1944 to Charles and Judy (McCrary) Parks in San Francisco, CA. Linda grew up in Kansas City and graduated from Argentine High School in 1962. She worked for 33 years in the Bookkeeping Department of Nations Bank before her retirement. She enjoyed bowling, golfing, square dancing, cooking, travel, gardening and home decorating. Linda is survived by her loving husband Roger; stepdaughters Tammy Collins, Annette Hargrove, Robin Studer and Shawn Studer; brother-in-law Bob Dykes and nephew Robert Aaron Dykes; sister Lori A. Walker; Uncle George Frame and cousins. 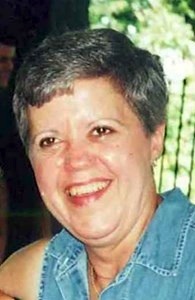 She was preceded in death by her twin sister Carol Dykes, mother Julia (Judy) Fishbaugh and father Charles Parks. The family will receive friends for a visitation on Monday, April 18, 2016, 9:30 am at Prince of Peace Catholic Church in Olathe, followed by a funeral mass at 10:30 am. Burial in Oak Lawn Memorial Gardens. In lieu of flowers, memorial contributions may be given to the Hospice House of Olathe or to the American Cancer Society.